Solid set up. Awesome guys. This is gonna be a good year. Something that works really well for me is that my coach is involved with the team. So i got to catch up with him for a while too, which was very nice. Prompted by the Bianchi Aquila TT bike sat behind us we chatted for hours over aerodynamics and time trialling, one of my favourite topics at the moment. After that the drive to the travelodge and then to dinner. More chit chat, again over food. It gave us a chance to meet parents along with riders, which was nice, we all knew we would be seeing a fair bit of each other over the course of 2017. The next day, the base of operations was Bedford University. Once again kitting up and rolling out for a longer cruise this morning. Rolling around the top of Bedford and out to a little cafe built into a double decker london bus. This time we were split into our separate teams. OnForm is a large setup, consisting of an U23 development team, mixed junior team and an elite women’s team. Stocked up on my favourite Paddy & Scotts coffee, we set off again back towards Bedford Uni. The ride back was once again very enjoyable and a great chance to mix with my new team mates. Once back at the university, we washed up and got the chance to try out the new kit for size. 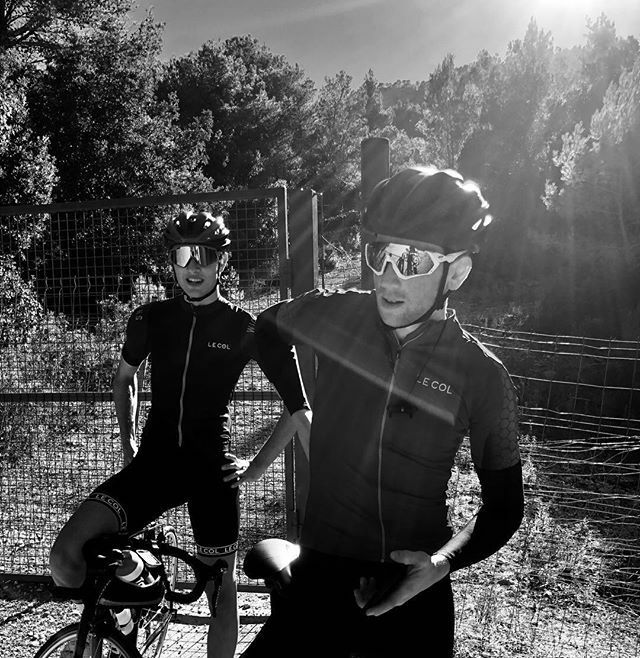 The kit sponsor Elmore Clothing seems to have a full set up of great kit, which i am sure will look awesome once paired with the pink and celeste of OnForm. After this, we got a talk from one of the lecturers from the Sports and Exercise department of Bedford university, which involved a tour of the facilities. Plenty of fancy lab equipment that i am sure will one day be of aid to my training and racing, but as of now, I think a bike and my power metre will have to do. Overall i truly enjoyed my weekend meeting my teammates for 2017 and the staff that will be helping me out. I look forward to the next meet when i get to see everyone again!